Discovery Center activity is ramping up as we pull together all the exhibit components that have been in process for months. More animatronic creatures arrived, including the two pictured on this page. These raptors will follow other animals entering the Ark two by two. Many people have questioned whether the Ark could really fit two of every land animal and bird. Others wonder whether or not dinosaurs even boarded the vessel. The Discovery Center will provide solid, sensible answers to these questions and more. Our muralist has added an icy mountain backdrop to the Ice Age exhibit, which will display our life-size wooly mammoth and rhino. What caused the Ice Age? When did it happen? Was there more than one? A short film in the nearby Ice Age Theater will offer visitors a better understanding of this frigid period in Earth’s history. 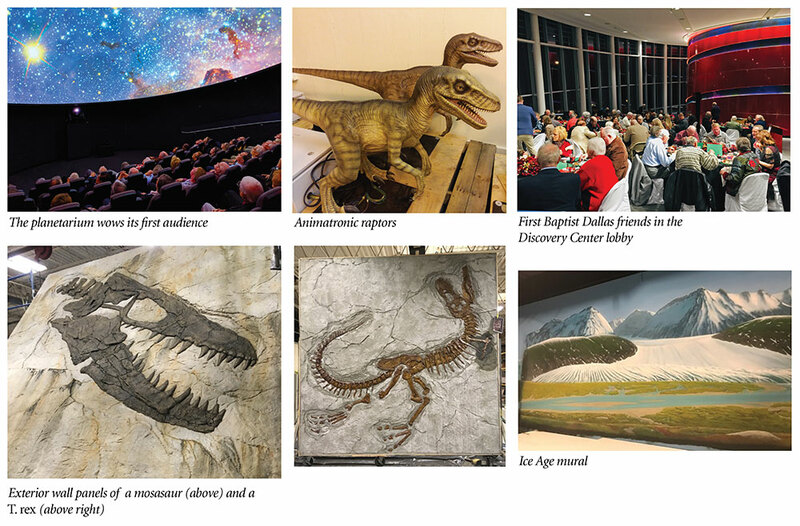 ICR volunteers and friends from First Baptist Dallas recently enjoyed the first showings in the Discovery Center’s planetarium. We were pleased by their encouraging response to our new program Creation in the Solar System. We look forward to wowing your family with the wonders of God’s creation when the planetarium officially opens later this year. On top of all that’s happening inside with the exhibits, there’s lots of hustle and bustle outside the facility as well. Landscapers added plants and trees out front, and more exterior wall panels were shipped to us. These two new panels showcase T. rex and mosasaur fossils. Soon, we’ll post all nine panels along the wall facing busy Royal Lane. 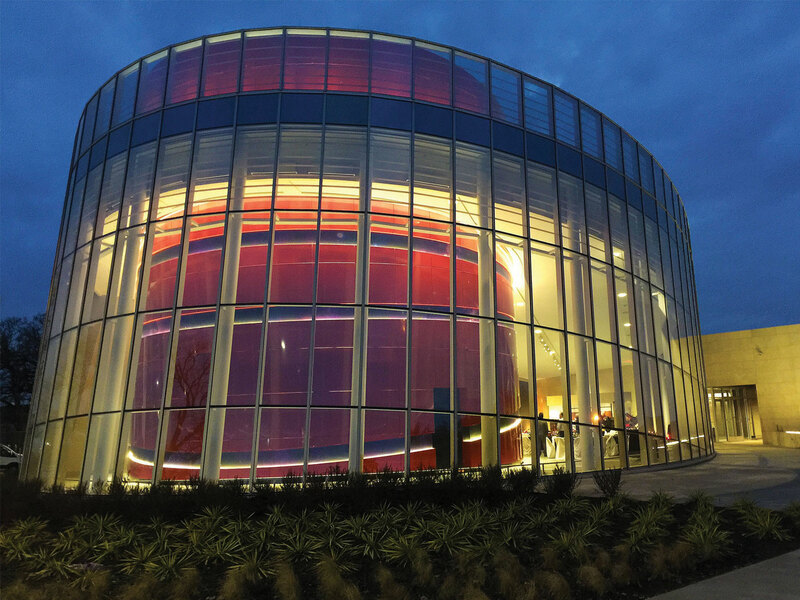 ICR’s Discovery Center will put creation and Flood evidence in the limelight like never before. We can’t wait for you to see it! We’re developing the most educational and inspirational exhibits possible to point people to the truth of our Creator, the Lord Jesus Christ. Visit ICR.org/DiscoveryCenter to find out how you can partner with us in prayer and help us finish strong!